Go behind the scenes for a peek at dental care through Penn Dental Medicine dental clinic. Considering a dental clinic for your dental needs? Then perhaps you could benefit from knowing exactly what to expect at a dental clinic. In this article we lay it out clearly for you and invite you to contact us with any further questions. During your initial examination at our dental clinic, your medical history will be recorded and a brief physical and dental examination will be performed. If you are deemed eligible for the program, you will then be assigned to a predoctoral or postdoctoral student depending upon your individual case needs. The student doctor treating you will never be in the first two years of his or her schooling. Student doctors are only 3rd or 4th year students. Your student doctor will always be supervised by highly qualified dental professionals. Those training and teaching our student doctors are some of the nation’s top dental professionals, having practiced dental care for decades. Your student doctor will provide care with heightened attention to detail and ultimate concern for your dental health. As already stated, your student doctor and faculty supervisor will develop a comprehensive treatment plan during your second visit. This is customized according to your specific dental needs. Your student doctor will thoroughly explain the whole course of treatment, being sure to highlight the benefits and/or risks, as well as the prognosis or outcome. 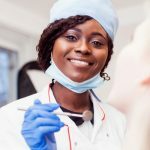 Patients will not be permitted to choose only select portions of the treatment plan and/or receive some of the care elsewhere, unless a dental emergency constitutes necessary emergency treatment or in the case that you have been referred to us by another dental professional for a specific treatment. Dental clinic appointments always tend to take longer than a traditional dentist would, so make sure to schedule your time appropriately. Allow four hours a week for your appointment, either in a full 4 hour time block or two 2 hour time slots. This extra time is due to the fact that your student doctor is handling your care exactly as instructed and with utmost attention to your dental needs. 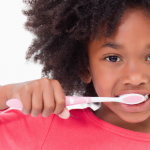 We are equipped to handle any and all dental needs within our dental clinic. Parking – discounted parking is available at The Fresh Grocer on 40th and Walnut streets. Insurance – We accept direct payments from most insurance companies. We also accept all Medicaid plans offered to residents of Southeastern Pennsylvania. Financing – For those who qualify, we offer financing options through Care Credit, a third party financing provider. 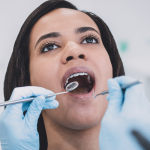 Through all of the interactions and treatments at our dental clinic, our goal is to provide you with quality care that exceeds your expectations and expertly handles your dental care needs, whether it’s a routine cleaning or a full treatment of orthodontic work. 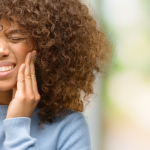 Call us today with any other questions that you may have about your first and subsequent visits to Penn Dental Medicine clinic. We can’t wait to answer your questions and service your needs!